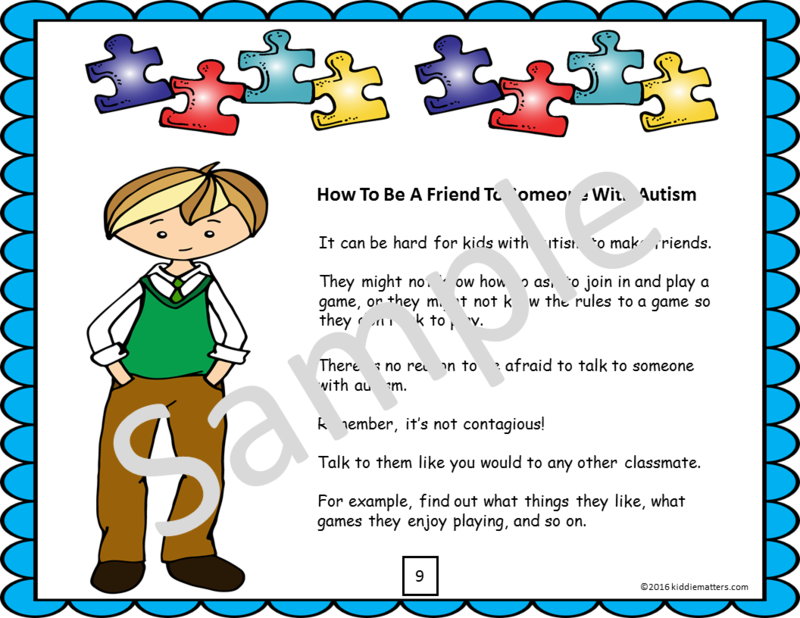 April is Autism Awareness Month and this year I wanted to focus on helping kids in elementary school develop an understanding of autism and also how they can be a friend to someone with autism. 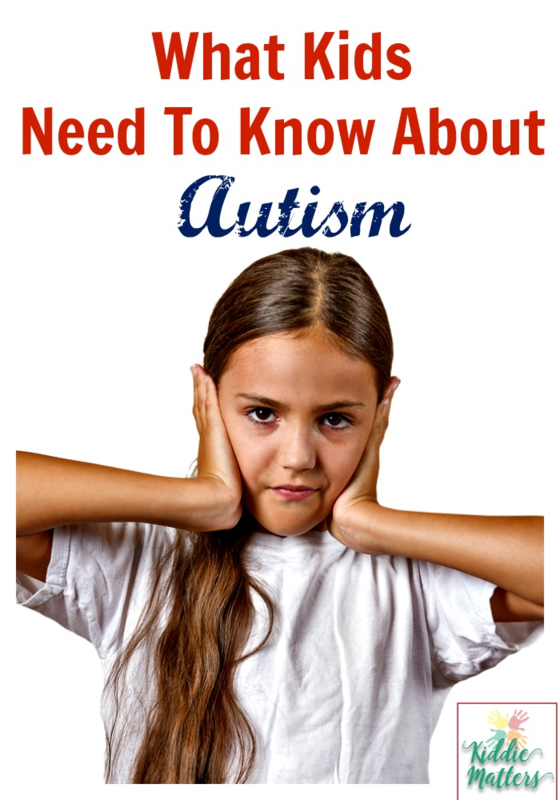 Thirty years ago when I was in elementary school, autism was not something people discussed. 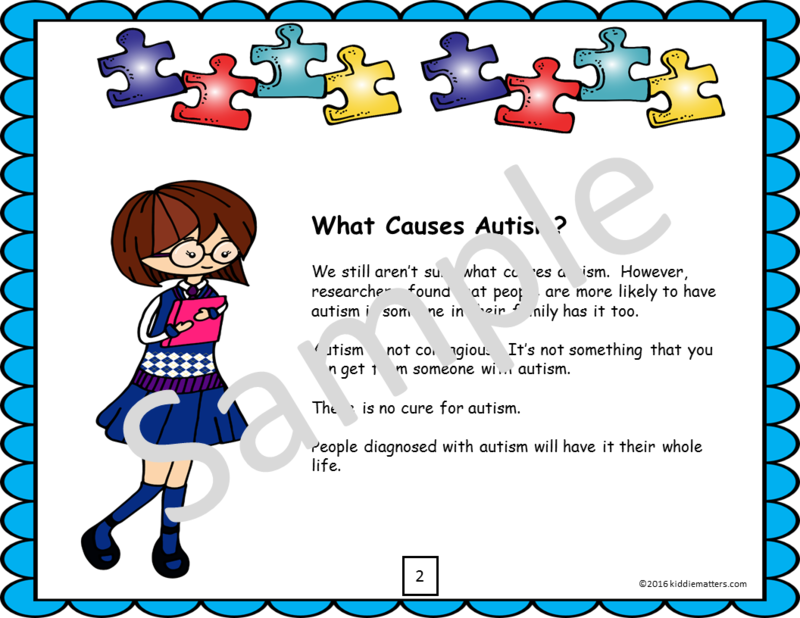 If they had, then my classmates and I could have responded better to a student who was diagnosed with autism. He was bright and was a top student in our class when it came to math and science. However, he had another side that kept me and my classmates on edge. 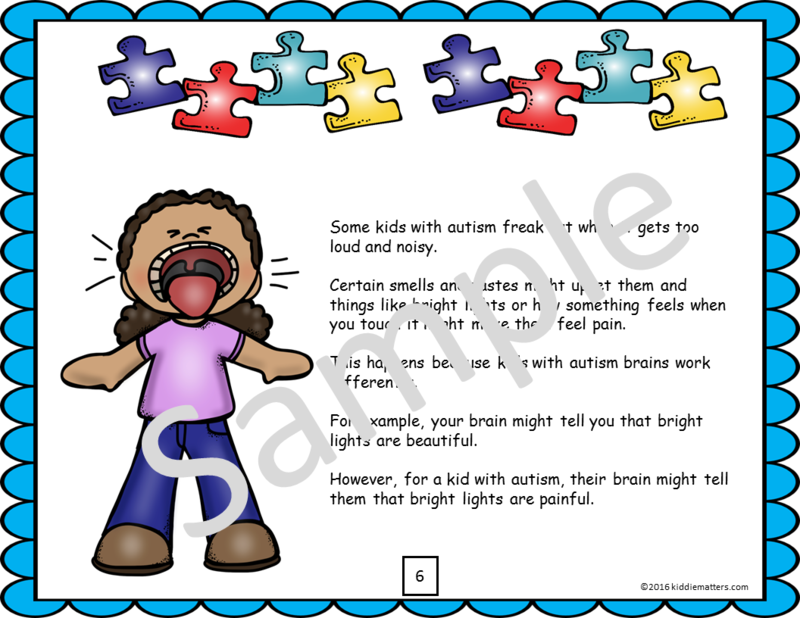 He would often lose it and start screaming if the classroom got too noisy and sometimes he would throw his school supplies when he got mad. He didn’t seem interested in making friends and kept to himself. We all thought he was weird and pretty much stayed away from him. I can’t imagine how lonely and hurt he must’ve felt. 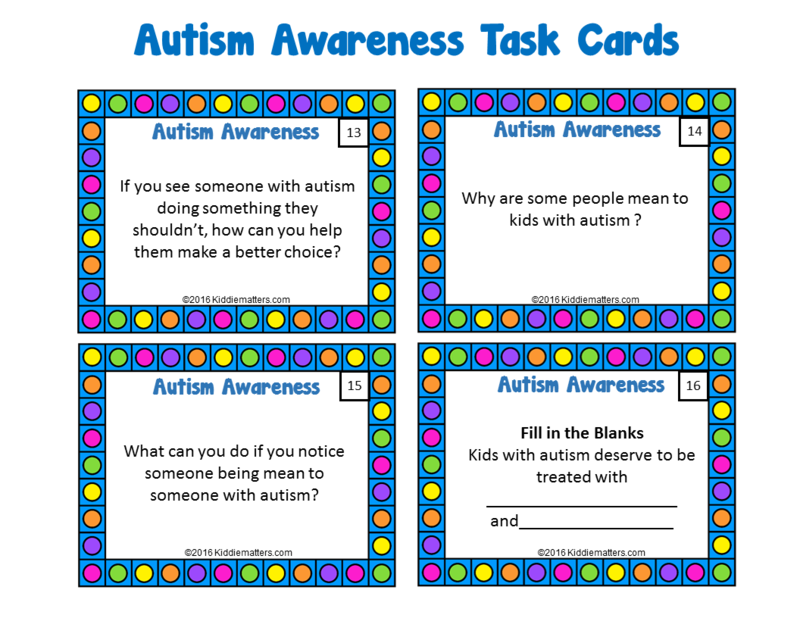 Raising autism awareness in school-aged children is important because with the high rates of children being diagnosed with autism, they are bound to come into contact with someone with autism. 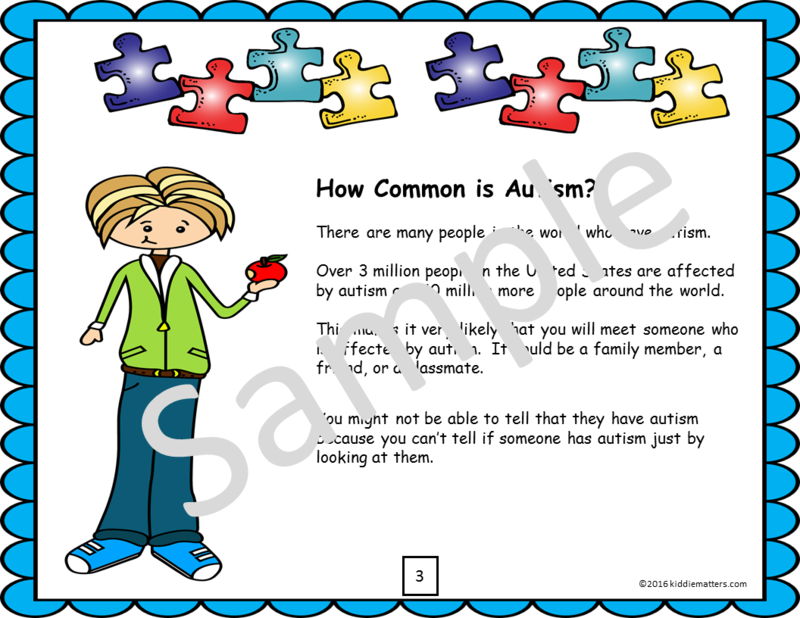 Helping typical children understand what autism is will help them learn to accept their peers who are living with autism. 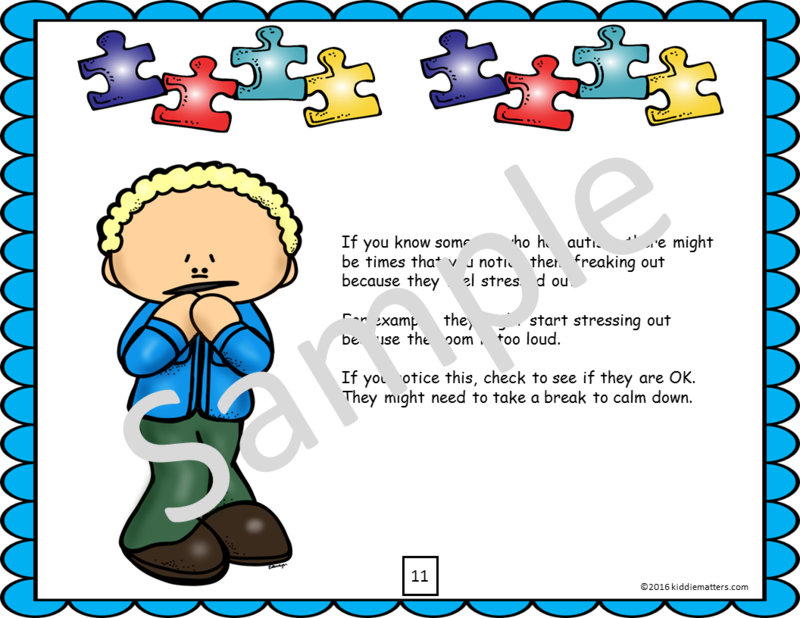 I created this Autism Awareness lesson to help parents, educators, and counselors talk to typical children about kids with autism. 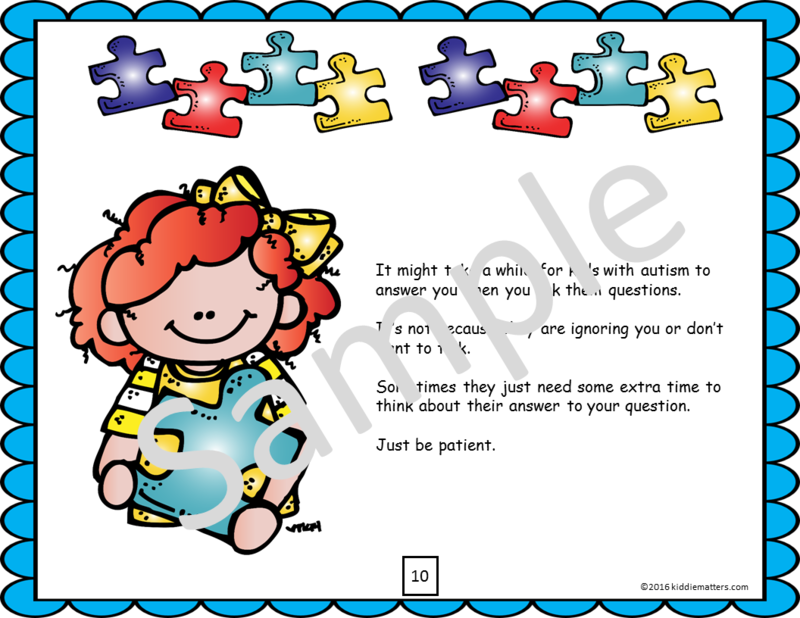 It discusses autism in language kids can understand and is perfect for children in grade 3 through grade 6. 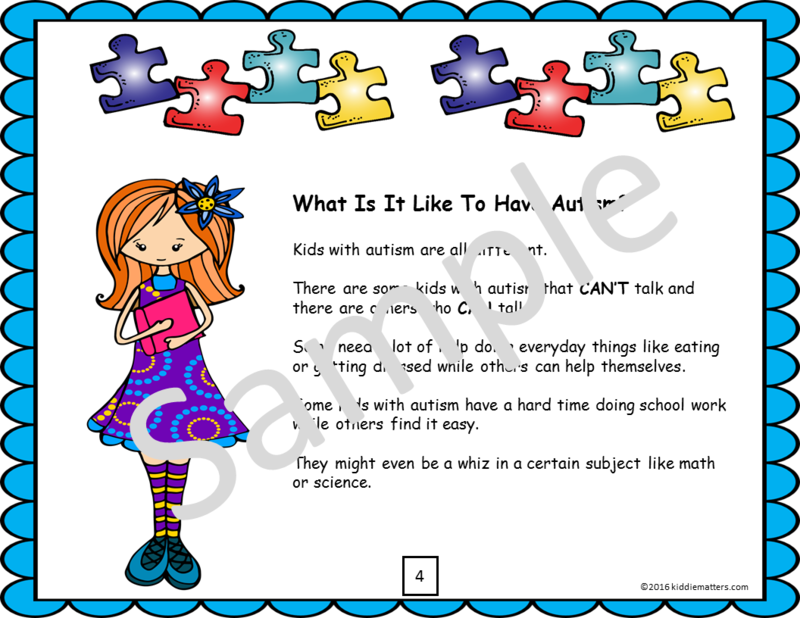 Helping to raise autism awareness in children teaches them to accept and include people who are different from them. 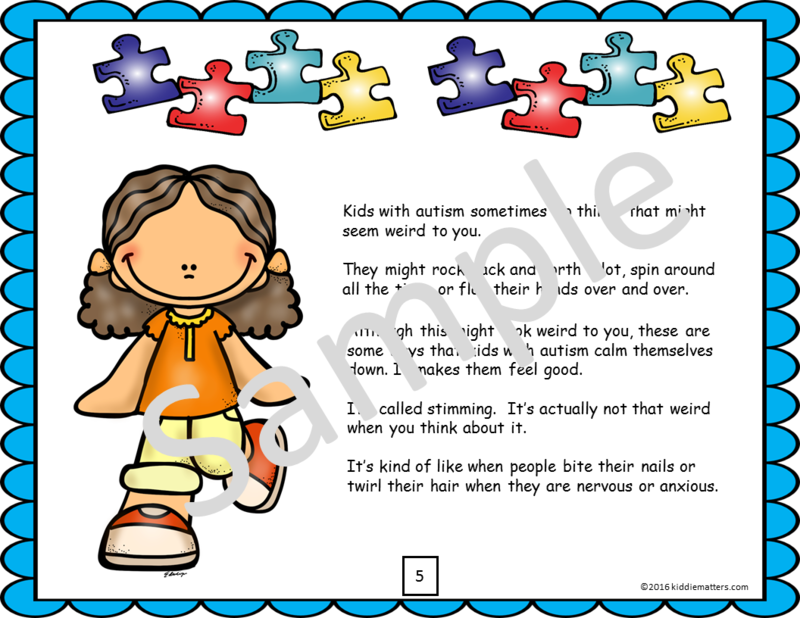 Everyone is unique and special in their own way and that should be celebrated! 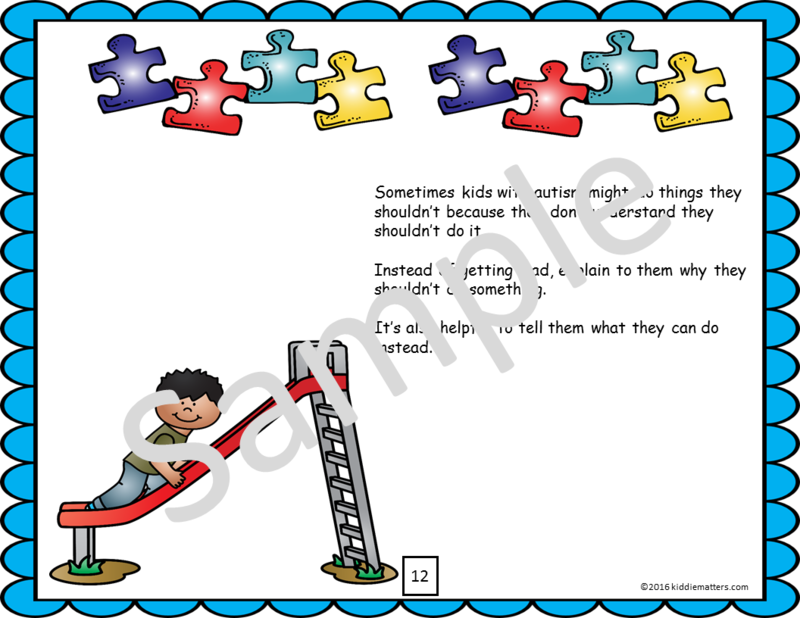 This is so well put in kid language. Good job! Dropping by thru the giveaway. Thanks for this post. 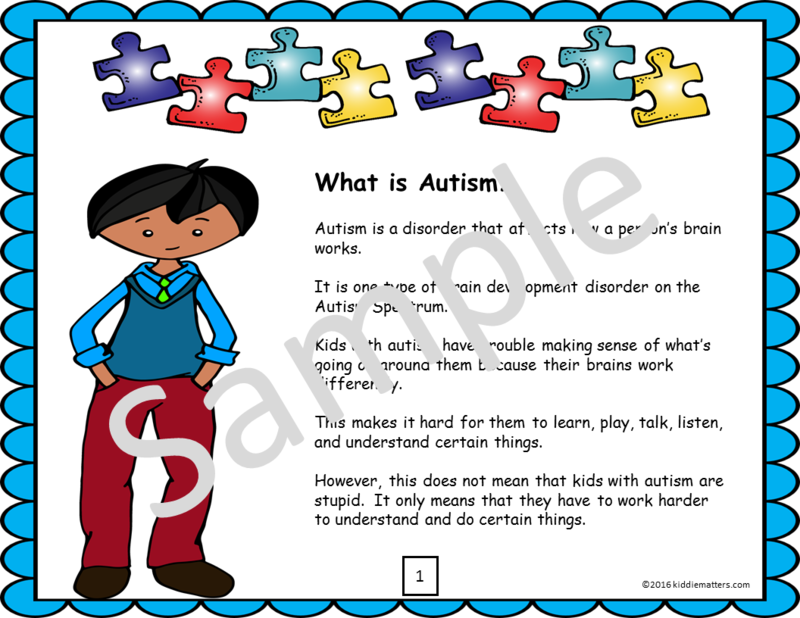 We have a grandson with Autism. 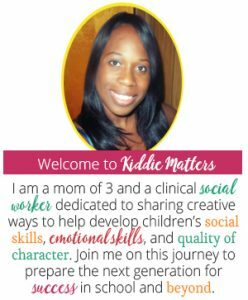 Love the ideas. 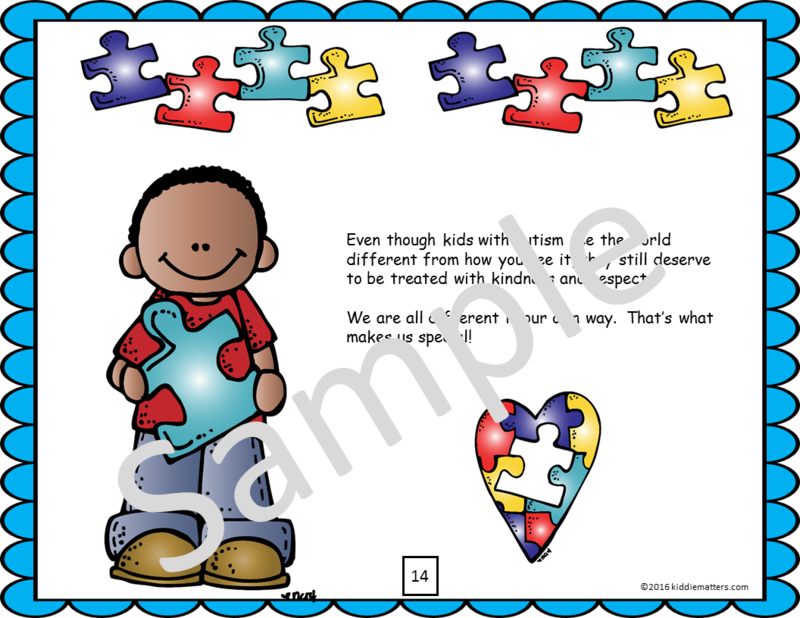 These printables are a good way to spread awareness about autism. 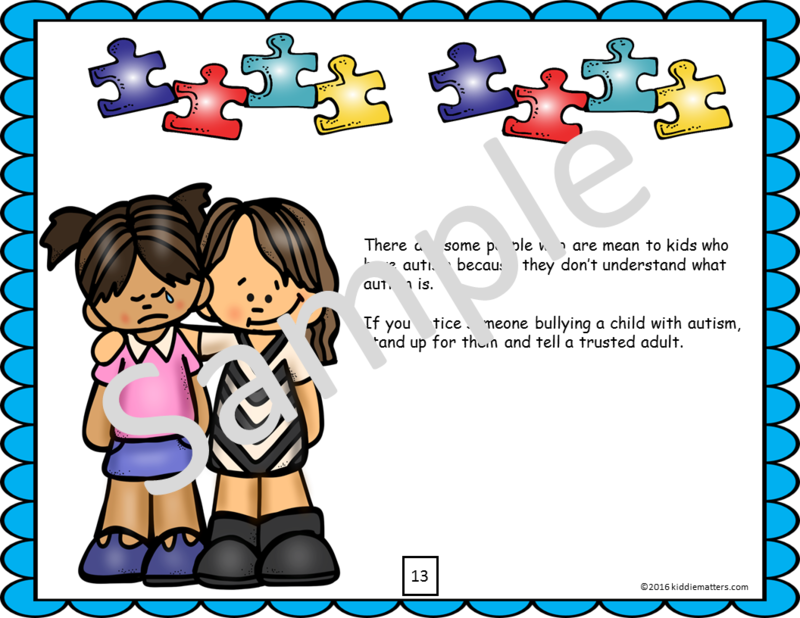 Kids ( and adults too) should know that autistic people are not to be bullied or teased, but they should be understood and accepted the way they are. There is no one perfect in this world and accepting the little flaws we have makes everything good and lovely.